We had an amazing turnout at last month’s second annual RunGo Dash for Dogs event, with over 200 people participating. On top of that, we were happy to see people bringing their favourite fluffy companions along for the 2K, 5K and 10K walks and runs! The event started early on Saturday morning, with the first set of runners starting off their 10K runs at 9AM, soon followed by the 5K runners, and 2K walkers. 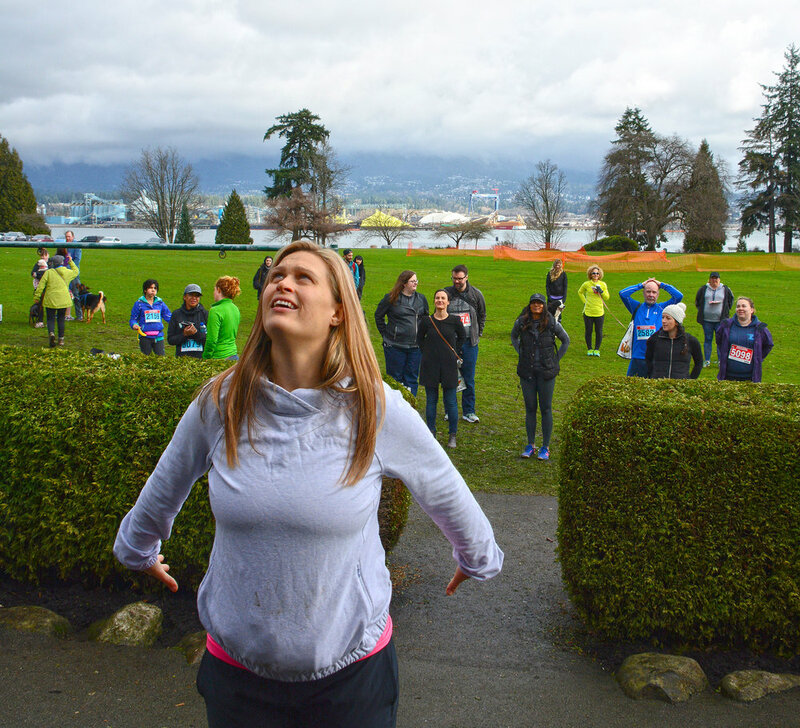 On the scenic route throughout the trails of Stanley Park, some of the runners used RunGo to help keep them from getting lost throughout the run. While the running was the main event, the best part might have been the post-run competitions, pancakes and prizes! Runners, walkers and friends lined up for de Dutch pancakes and Ethical Bean coffee, while others participated in games led by our race director, Solana, like “Heads or Tails” and picked up Bosley's gift bags for their dogs. We even saw some kids eat liver treats for Bremner’s Juice! Game prizes included prizes from Bremners Foods, Famoso Pizza, Pet Pantry, 5 Peaks Trail Running Series, Bosley’s, Running Room, Distance Runwear, Arroyo Athletics, BC & Alberta Guide Dogs and others. Best of all, we raised $6700 for BC & Alberta Guide Dogs! We want to thank all of our volunteers for helping the event go smoothly, our donors and sponsors for supporting our event, and of course, all of the participants who came on race day. 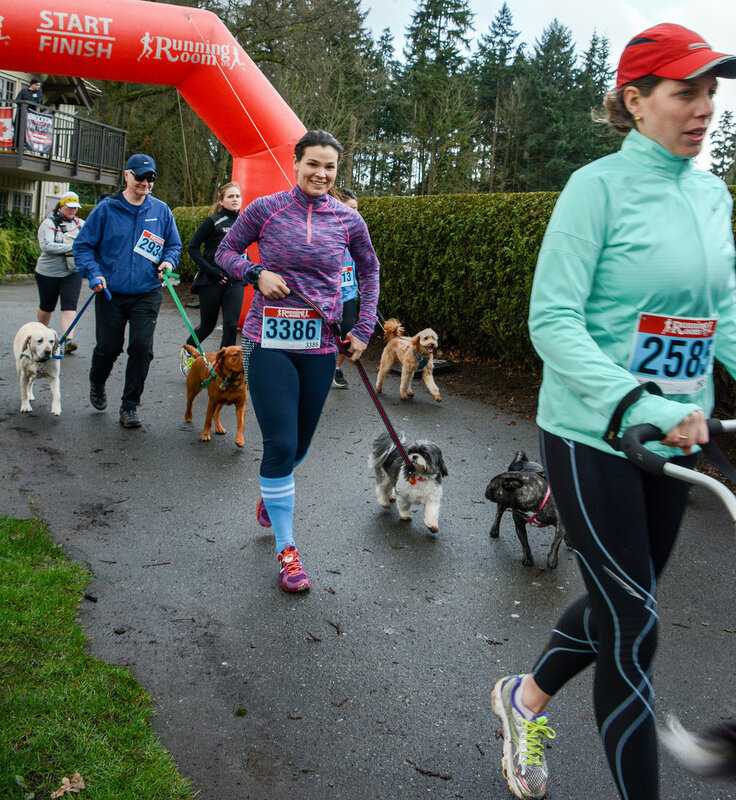 We’re already looking forward to RunGo Dash for Dogs 2017, where we’ll hopefully be able to raise even more money for the BC & Alberta Guide Dogs! But before then, we’re continuing to raise money for BC & Alberta Guide Dogs through our RunGo Dash for Dogs BMO Vancouver official charity team, so please help us continue to raise funds for BC & Alberta Guide Dogs by participating as a team member or donating! Find more pictures of race day here.